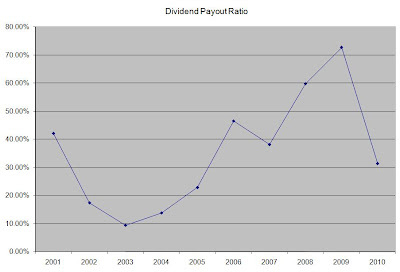 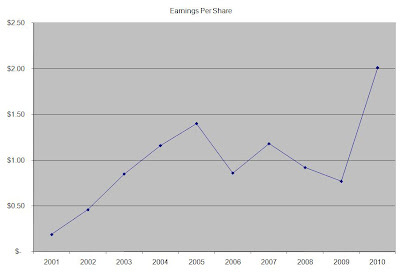 The annual dividend payment has increased by 25.80% per year over the past decade, which is lower than the growth in EPS. Currently Intel is trading at 9 times earnings, yields 4.20% and appears to have a sustainable dividend payout. 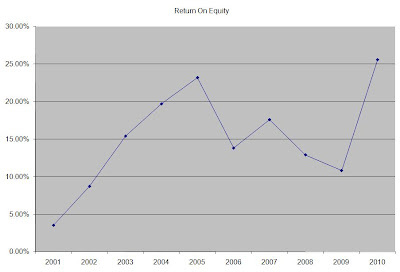 The company currently fits my entry criteria, and I would consider initiating a position subject to availability of funds and my portfolio sector allocation.